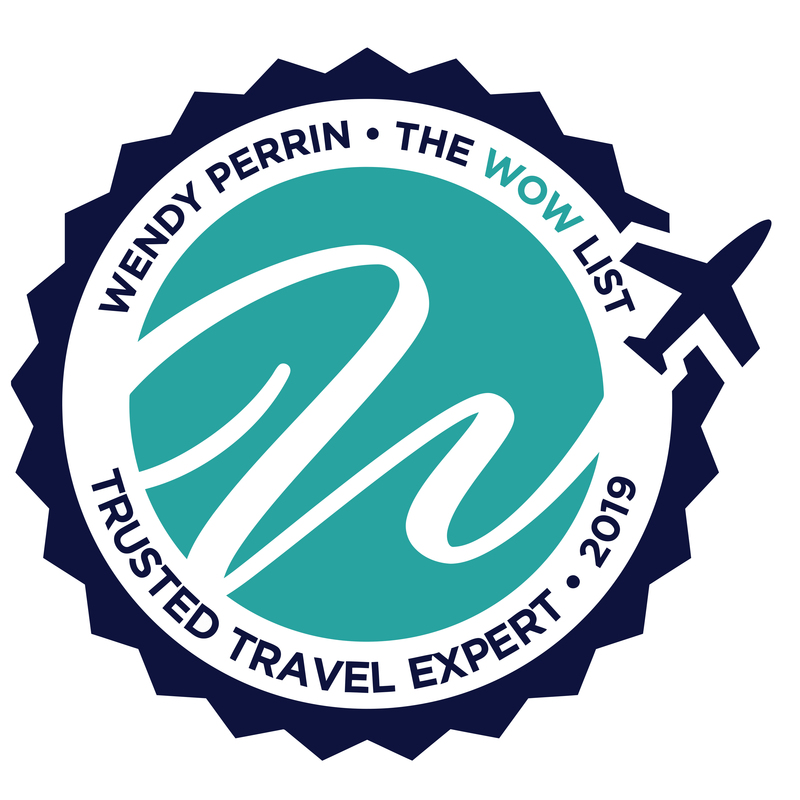 Jim Berkeley is on Wendy’s WOW List of Trusted Travel Experts for his expertise and connections in Egypt. The reviews below are from real travelers who’ve taken trips that were arranged by Jim and monitored by Wendy. Don’t miss Jim’s Insider’s Guide to Egypt. Truly I could write a book about how thousands of years of history came to life for us during our 12 days in Egypt! Jim really listened to what we had in mind for our trip to Egypt. He talked to us twice in the planning stage and had the foresight to say that he thought we were good candidates for a trip down the Nile on a dahabiya and he was certainly right! We loved every second of that 5 day experience. He also booked us in at the most delightful hotels in Luxor and Aswan with gorgeous views and fantastic service. We had flawless pickups, guide services and transfers and always felt we were in good hands. Although Egypt can be hectic, crowded and noisy, our guides knew how to navigate the sites and always found a quiet pocket of calm so we could enjoy our time with the antiquities. All told, this was another great experience with a Wendy Perrin travel specialist. And to top it all off, we were treated to an evening sail in Cairo on a felucca as a WOW moment. Thank you Wendy! One of the favorite phrases we learned on our trip was mi’a mi’a, which translates roughly as “the best”. We got to use it often on the three-week trip Jim Berkeley and his team put together for my wife and me plus our daughter. We often book small group tours but were unable to find any single tour that covered everything we wanted during our visit to Egypt and Jordan. After consulting Wendy’s list of travel experts, we decided on Jim. He listened carefully to our desires and then put together a trip plan that met our needs. But Jim didn’t stop there. Based on his understanding of our interests, he suggested several additions: Jerash, an ancient Roman city nearly as impressive as Ephesus; a stay in a Bedouin camp at Wadi Rum where we found the best scenery of our trip; the Temple of Philae, one of the single nicest temples we saw in Egypt; and the Tombs of the Artists, which provide a perspective on Pharaonic Egypt not available in the better-known Valleys of the Kings and Queens. In addition, Jim suggested adjustments to our requests. We asked to include a one-week cruise down the Nile. Jim suggested that we would be better served by taking a three-night cruise instead, and then spending the extra days on land in Aswan and Luxor. His advice was spot on. We also told Jim that although we wanted first-class lodgings, we weren’t interested in paying for luxurious hotels that cater to the jet-set crowd. Jim encouraged us to allow him to make one exception during our visit, and as a result, we found ourselves in premium suites at the Old Cataract Hotel in Aswan. Each oversized suite featured 26 foot wide balconies with a spectacular panoramic view of the Nile and Elephantine Island. Our three-night stay there was a highlight of our trip. The logistics for our trip were complex. We had 5 interior flights, a cruise on the Nile, lengthy rides in the desert including on a 4×4, two camel rides, a carriage ride, a thrilling burro ride to the Monastery in Petra, and probably 20 visits to sites that required tickets. Everything was flawless. We did not have a single hiccup during our trip. Jim’s deep roots in the area paid off in several ways. He was able to secure upgrades at our hotels. He got us top-deck suites on the Sonesta Star Goddess cruise ship. His long relationship with the owner of the Sakkara Carpet school landed us an especially good price for an Egyptian rug after only a little haggling. Finally, Jim was able to secure the best guides for us. Our guides were uniformly excellent. Each was knowledgeable about all aspects of the areas we were visiting. For example, our Egyptologists could read hieroglyphics. Our guides worked hard to get us to locations either before or after the cruise ship crowds arrived. For example, when we visited Tutankhamun’s tomb, we were the only people there. When we decided at the last minute to add a hot air balloon ride, our Luxor guide made special arrangements with the operator to ensure personal attention, including securing the best spot in the balloon basket for viewing the monuments as we glided by. When the ride took longer than expected, our guide worked with the ship captain to make sure we still had a hot breakfast awaiting our return onboard after everyone else had already departed. And as a bonus, our guides suggested superb local restaurants, such as Makka in Aswan and Taboulah in Cairo. And then there was our WOW moment. I am guessing that Wendy had some input from Jim on what would make a good WOW moment for us because it was inspired. Our planned trip included almost everything a visitor might hope for, with one exception. We had not included a visit to the tomb of Nefertari, generally considered to be the nicest tomb in all of Egypt. That turned out to be our WOW moment, and it was perfect. The tomb has restricted access, with a vault door at the entrance to enable better climate control than at the other tombs. Signs everywhere note that stays are limited to 10 minutes. Not only were we able to stay for 15 minutes, but we were the only people there. It was a magical moment, a perfect capstone to our trip. All of this added up to a trip that was mi’a mi’a. We would recommend Jim to anyone planning a trip to the area. Jim was extremely knowledgeable about Egypt and recommended we also visit Jordan and Petra, a truly worthwhile diversion. We had no idea he had lived in Egypt for years until a guide informed us. We made a change during the trip and his staff was very helpful n that regard, too. We had a wonderful trip. Guides were very good. Wonderful hotel choices. Egypt is a must visit; just incredible sites that are hard to believe even when you are seeing them. Cairo & vicinity in 2.5 days. This was a stopover-of-convenience between two business trips and not something I would recommend for the average person. Everything else I saw would be frosting on the cake. The pre-arrival documentation was detailed & very informative. Upon arrival at the Cairo airport, I opted for the VIP treatment. It was a super cool experience and consisted of being met at the stairs of the aircraft, taken by private car to a nice lounge with food&drink while they took care of getting my visa. I was then connected with a highly qualified Egyptologist (an academic who actually participated in excavations of antiquities) & driver for my tour. They did a pretty good job of adapting to my really brief stay. Additionally, she shared a lot about Muslim culture, Egyptian politics and other subjects that I was curious about… no question seemed to be “off limits”. Accommodations were at the Kempinski and the room had a great view of the Nile. * the felucca ride was supposed to be at sunset and include “with local beer and light Oriental Mezze.”. Unfortunately, the local rep showed up late and we just missed the sunset. Also, the Mezze never appeared. No mention of what happened and no apology. It was a small miss but I was pretty hungry by that time and was counting on the food to keep me fueled. * we made a stop (not on the original itinerary) at the “Papyrus Institute” presumably to see how papyrus was made and see why it’s such an awesome, durable material; that part was very informative… However, I was not warned about the showroom and the slightly pushy sales pitch as a part of the “Institute”. I probably should have known better but when I’m paying for a private tour, I expect the guide to alert me to these situations. Also, this extra stop had a cascade effect on our schedule for the rest of the day and we only caught the final few minutes of the sunset over Cairo which was one of the stated goals. Bottom line: super high-quality guide, good support & documentation but the unwelcome surprises slightly tarnished what was otherwise an excellent trip. Still, I would absolutely use Jim and his team again. From the outset, Jim established his credentials for planning our trip to Egypt for October 2018 for four adults. As the former chief of the Cairo office of a leading upscale travel company, he knows the area and the providers extremely well. He assigned excellent Egyptologists to accompany us, which meant that we explored some tombs off the beaten path…once even involving finding a guard to get a key for access. Our days were occasionally scheduled in reverse order from the crowds, meaning that we experienced spaces to ourselves. He advised where it was worth splurging, like the Old Cataract Hotel in Aswan, and where it was not. Great advice. Positive: Terrific, knowledgeable, guides, great service at airports, picking up etc. One hotel in Aswan and internet access just in the lobby – I run a business with clients in 72 countries and it’s my lifeline- but wasn’t told this! After making a big fuss they brought me up a router and it was fine- but a cardinal sin not to tell me upfront. All in all a terrific trip. Masterfully planned and executed every aspect of our trip! My husband and I recently returned from Morocco. We have a particular style of travel that does not suit most and tried to be very clear about that when planning with our agent. As well, we have worked with other travel agencies over the years, but this was the first time we used Wendy Perrins services. None of our friends were familiar with the agency, so, even with the positive reviews and conversations prior to our trip, we were definitely apprehensive. Well, there was absolutely no reason for our concerns. Helen Wilson, on Jim Berkeley’s team, was our agent and she did an amazing job. She paid attention to the information we provided her, made adjustments accordingly as plans progressed, and masterfully planned and executed every aspect of our trip! We will absolutely employ Wendy Perrins agency again. Our only regret will be that we will be assigned a new agent, but if Helen is any indication of the quality of agents available, we will look forward to it. Our trip to Jerusalem, Petra and Egypt was one of the best trips in a lifetime of travel. Jim Berkeley zeroed in on our interests, addressed our security concerns and worked with his extensive local contacts to organize an amazing 18-day itinerary. Thanks to Jim, the three of us had the freedom to avoid the crowds and travel comfortably with a series of personal guides who were knowledgeable, friendly and confident talking about their countries from ancient to current times. We especially enjoyed exploring The Valley of the Nobles and Deir el-Medina outside Luxor. These tombs were in excellent condition, incredibly beautiful AND there was virtually no one else there! Secondly, while all the hotels were excellent, the Old Cataract Hotel in Aswan is an experience in itself! Upgraded on more than one occasion. Jim Berkeley planned a well organized trip for us in Jordan and Egypt for our family of 4. He did a great job of getting us around to a few chosen locations and to hit the highlights in each locale. We came home feeling like we had really seen and experienced the culture of Jordan and we would love to return and see more! In Egypt, we saw the highlights and every day were somewhat awestruck with what we were seeing! Amazing! Jim prepared an excellent trip to Egypt for us. The guides were generally quite good (the one in Luxor was fantastic!) and got us into all the places we wanted to see without the crowds and the pressure of mass tour groups. We’d definitely use him again for future trips. Unbelievable experiences we had on our trip to Egypt. We booked Jim Berkeley and worked with him and his company Destinations and Adventures to plan our two week vacation. Our trip was fantastic. We learned so much about Egypt. Our guides were so informative and made our excursions to the temples, pyramids, and museums really enjoyable. The Egyptian museum was incredible – our guide maneuvered us first to the best rooms where we had time to ourselves before the crowds appeared. Each guide was SO informative and responsive. They truly got to know us and personalized our visit in each location. Our travel connections all along the way were seamless and we really felt that we were in excellent hands. Jim was able to book us for specific tombs that other agencies couldn’t offer. Our concerns about safety were never an issue. Accommodations were perfect. We did have one issue with a hotel and Jims immediate attention resolved it perfectly. I would highly encourage using Jim and his team for your travel plans. The wealth of knowledge, awesome guides, and the extras cannot be beat. Jim was a pleasure to work with and he put together an incredible trip. My husband and I often tell others that our trip to Egypt was the trip of a lifetime (we are well traveled). All of the highlights described above are really beyond description! One of the egyptologists who guided us (he had also worked with the BBC and National Geographic) was encyclopedic about ancient Egypt. Because the ancient Egyptians documented everything, their culture becomes palpable – I remember being read (hieroglyphs) an IOU written on a stone from one neighbor who had borrowed wheat from another promising to pay it back! I don’t know what it’s like to be in Egypt now, but I trust Jim not only to deliver a unique adventure in one of the world’s most fascinating places but also a safe one. My husband and I traveled to Egypt and Jordan (including Petra) on a trip choreographed by Jim Berkeley in December 2009. The trip was flawless and now, six years later, our memories remain striking and vivid. Amazing history, landscapes, culture. I wouldn’t have missed it for the world and am thinking of going back.